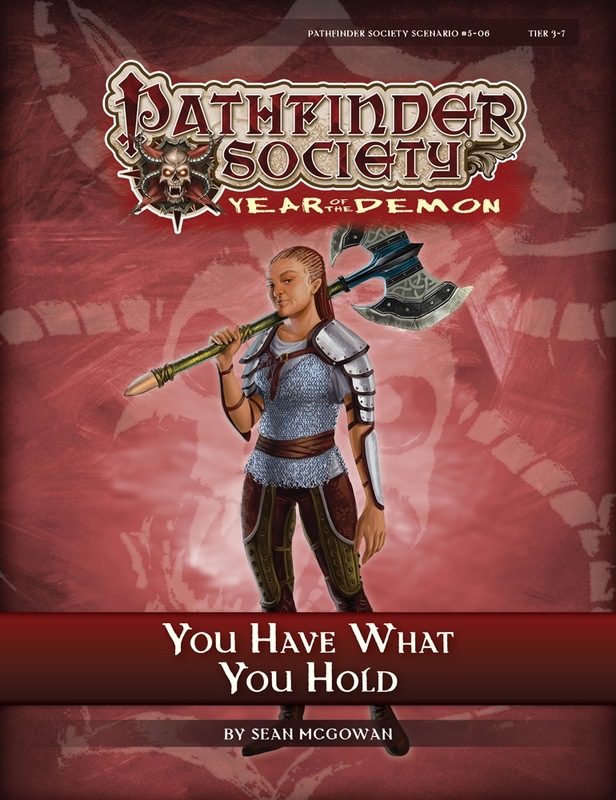 A Pathfinder Society Scenario designed for levels 3–7 (subtiers 3-4 and 6-7). Content in “You Have What You Hold” also contributes directly to the ongoing storyline of the Sczarni faction. Feel free to discuss what levels and classes you want to bring. As far as pregens are concerned, i have some of the pregens in FG format, but not many… I’ll post a list later. I have an assortment of 3rd and 6th level builds to cover either subtier. I’ll have to look over the specifics. I’d like to bring my 3rd level Ifrit Bard (flamedancer) to this. I’ll have both tiers prepped so i’m good either way. if you’re going to play a pregen, please make sure you have your XML ready. Although there are quite a few missing, here is a thread that contains quite a few of them that folks from the community have already done. Looks like we’re in the lower tier so I have a 4th (maybe 5th) level cleric that can join.